Industrial and commercial laundry waste water is produced from laundry facilities that wash uniforms, towels, floor mats, mops, etc. 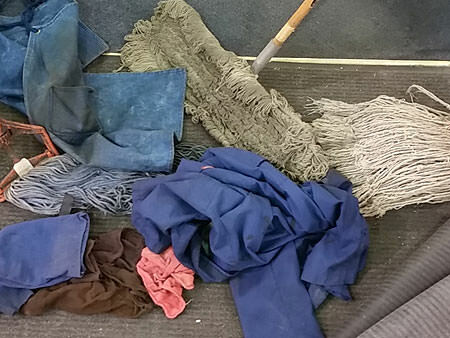 Often, these items are washed on a daily basis by industrial laundry facilities. The laundry waste water generated contains sand, grit, lint, oil, grease, heavy metals, and volatile organic compounds (VOC’s). This industrial laundry waste water must be cleaned and treated, which typically involves several phases. CentraSep Centrifuges has simplified a portion of these phases with a superior laundry waste water filtration system used to remove solids and sludge from the commercial laundry waste water. CentraSep Centrifuges installed their first industrial laundry waste water filtration and separation system in 2005. Since that time, CentraSep Centrifuges has become the preferred solution for filtering and separating laundry waste water and is considered part of the “Best Practices” of the world’s leading industrial laundry service facilities. Today, CentraSep Centrifuges offers custom turnkey industrial and commercial laundry waste water filtration packages that provide for rapid installation, simplicity, high performance and reliability that is unrivaled in the laundry waste water filtration industry. While the competitive landscape of the commercial and industrial laundry services industry continues to increase, employing the most effective laundry waste water filtration and separation solution can dramatically and positively impact your bottom line. Our experienced and dedicated team of engineers, technicians and manufacturing personnel understand the industrial laundry industry, and they will work with your team to develop a process improvement centrifuge filtration system. Contact us today to see how CentraSep Centrifuges can help you with your industrial and commercial laundry waste water filtration application. Talk to one of our Engineers today to see how we can help with your industrial and commercial laundry waste water filtration and separation needs.